So what is this European Team Championships First League? It’s a track and field team competition divided into four divisions with men and women competing together over two days. At the top of the pile is the Superleague followed by Leagues 1, 2 and 3, each with 12 national teams (or so – there are 46 teams in all). The bottom three in the Superleague are relegated; the top two in League 1 win promotion, with the bottom two relegated to League 2. Same goes for Leagues 2 and 3; two up , two down. How long is it going? Since 2009. Before that there were separate men and women’s competitions, with the Irish men in League 2 and the Irish women in League 1 (mostly). In 2009, Ireland started in League 2, coming second behind Lithuania and winning promotion to League 1. We have stayed there ever since. Have you got a run-down of results? But of course! 2009: Superleague – 1 Germany, 2 Russia, 3 Great Britain. Relegated – Czech Republic, Portugal, Sweden. League 1 (or First League) – 1 Belarus, 2 Finland, 3 Norway. Relegated – Switzerland, Serbia. League 2 – 1 Lithuania, 2 Ireland, 3 Latvia. Relegated: Bulgaria, Cyprus. League 3 – 1 Israel, 2 Moldova, 3 Denmark. 2010: Superleague – 1 Russia, 2 Great Britain, 3 Germany. Relegated: Greece, Norway, Finland. League 1 – Czech Republic, 2 Sweden, Portugal….8 Ireland. Relegated: Estonia, Lithuania. League 2 – 1 Switzerland, 2 Croatia, 3 Austria. Relegated: Moldova, Israel. League 3 – 1 Denmark , 2 Bulgaria, 3 Cyprus. 2011: Superleague – 1 Russia, 2 Germany, 3 Ukraine, 4 Great Britain. Relegated: Czech Republic, Portugal, Sweden. League 1 – 1 Turkey, Greece, Norway…10 Ireland. Relegated: Slovenia, Croatia. League 2 – Estonia, 2 Bulgaria, 3 Serbia. Relegated: Latvia, Slovakia. League 3 – 1 Israel, 2 Cyprus, 3 Moldova. * There was no competition in 2012 (last year…) when the European Athletics Championships were held. So who is competing this year? In alphabetical order – Belgium, Bulgaria, Czech Republic, Estonia, Finland, Hungary, Netherlands, Portugal, Romania, Sweden and Switzerland. Plus host nation Ireland. Any predictions? If previous form is anything to go by (see above), two from the trio of Czech Republic, Portugal and Sweden will see-saw back into the Superleague. The Dutch are in with a shout as well. Who should we watch out for? Well, there are a couple of Olympic champions competing; Krisztian Pais from Estonia in the men’s hammer (Sat 12.30pm) and Gert Kanter of Estonia in the men’s discus (Sun 1.56pm). 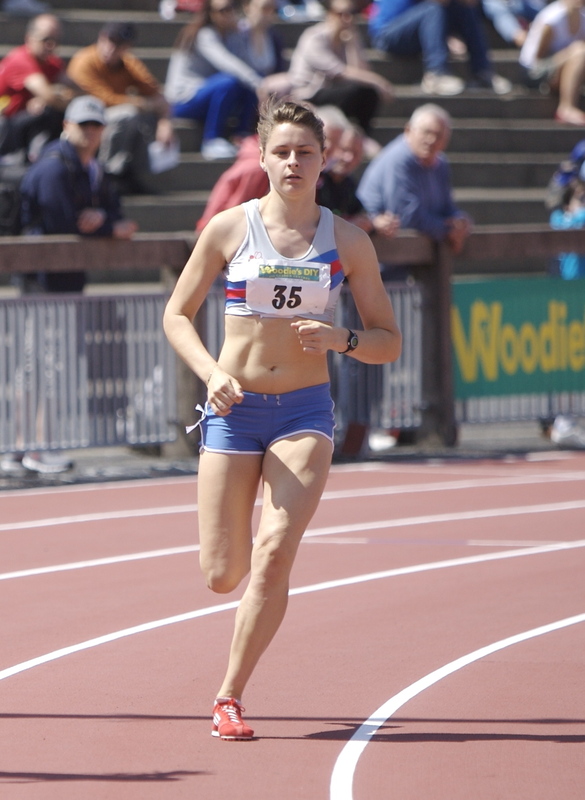 Two good 100m races are promised (both on Sat from 2pm)– Dutch sprinter Martina has a lifetime best of 9.91 and has run 10.16 so far this season. So has young pretender Dimitrov of Bulgaria. Leading the women’s rankings is Lalova of Bulgaria with 11.04. Jonathan Borlee of Belgium is in good form and goes in Sunday’s 200m (3pm); there are two 8m men in the long jump (Sat 1.30pm), three men capable of going over 17 metres in the triple jump (Sun 3.20pm) and four 80m men in the javelin (Sun 3.40pm). As for the women, three of the 400m women, led by Zuzana Hejnova of Czech Republic have times of under 52 seconds (2.20pm, Sat), Eva Urban of Hungary has a 73.44 hammer throw to her credit (Sun 12.15pm) , Emma Green Tregaro of Sweden has a lifetime best of 2.01 for the high jump (Sun 2.15pm) and An a Dulce Felix of Portugal who goes in the 5000m (Sun 3.20pm) finished behind Fionnuala Britton at the European Cross-Country Championships. What about the Irish? Brian Gregan in the men’s 400m (Sat 2.20pm) and Rose-Anne Galligan in the women’s 800m (Sat 2.35pm) should both make the top three – at least. Jessie Barr in the 400m hurdles (Sat 3.20pm) is third fastest of the entry on paper; Michelle Finn in the steeplechase (Sat 3.40pm) could surprise, while Claire Tarplee should also pick up valuable points in the 1500m (Sun 3.15pm). The Irish men’s squad is not as strong, but to avoid the drop, all that’s needed is a healthy number of top 10 finishes and a few better than that. Here’s hoping the weather is kind. Any other information? Timetable and other details at www.dublinathletics.ie. Live coverage on Setanta Ireland from 1.30pm both days.